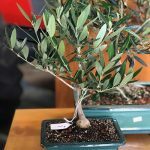 The olive tree is an evergreen (keeps its leaves year around) and gives us beauty year around. Harvest time is its most special time for us in the valley. The vineyards of Sonoma get most of the attention, but olives have a lot to offer, especially this time of year. Sonoma olive oil is world class and is part of the great mix of locally grown products here in the wine country. 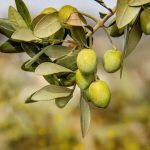 Fossil evidence shows that the olive tree had its origins some 20 to 40 million years ago in the Mediterranean Basin. In 1560 the Spanish colonists brought it over to South America and in the 18th century it made its way to California with the missionaries. Mission San Diego de Alcala was the first, beginning olive tree cultivation around 1769. 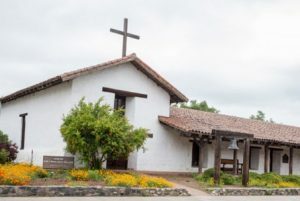 Sonoma is the most northern mission established by the Spanish and the olive tree was part of their imported agriculture due to its symbolic history and fruit. Olives can be cured for eating or pressed to make olive oil. The oil had and still has many uses for cooking, seasoning and can be burned for heat and light. One would think most of the olive oil produced in Sonoma now would be for cooking and dipping with bread. Harvest your fruit, and deliver to press or point of sale, if needed. We now offer Olive Oil Tasting to groups of five or more, by appointment only. Tastings cost $5 per person. Call the CVM Store to reserve Now!